The question often comes up in doula circles “how do people manage to swing doula work and family or other jobs”. It can be especially hard for people, like me, who are just starting out and aren’t in a place yet where they’re able to give up their other job for financial reason. 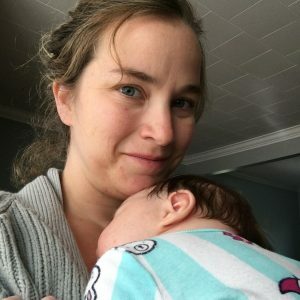 I’m here to tell you, as a new doula in an area with no other doulas yet, a full time paramedic, a first-time mom-to-be, a DIY home builder and the Doula Canada Provincial Liaison for Newfoundland, it’s not an easy task. There are two things that every doula must have, no matter their life situation. They must have a good support system and a love and deep desire for this work. I took my training with Doula Canada in the spring of 2017. After having the time to set up my business, I took on a client due in January, and left a full time work schedule to accept a casual position working as a paramedic. I live in a province that is in heavy need of paramedics, so I have been able to work full time hours, but have the flexibility to take time off as needed. I know that this is a great luxury that is not available to everyone, and I have grateful for the position that I’m in. Having that flexibility was wonderful, as I took off time while on call for my doula client, and then returned to work again after her birth. This also coincided with my first trimester of pregnancy, so it worked out well in that I probably wouldn’t have been able to manage on call life while sick and exhausted from this pregnancy. I would never be in the situation that I’m in without the unwavering support from my partner. When we decided that I would pursue this line of work, he supported me 100%. 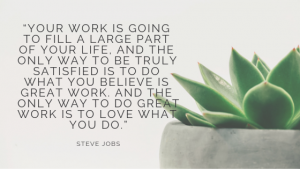 Even though we have had to tighten our shoestrings a bit in order for me to be on call periodically, he has recognized that for me to do work that will fill my cup, at times we will need to make some sacrifices in other areas of our lives. He also tags along to events with me, and listens to my many rants about the amount of work left to be done here! He’s a pretty good listener. I know moving forward with a child, he will allow me to take the time I need to focus on this business in whatever capacity that I need. The second piece to the balancing puzzle is the love and desire for this type of work. It’s a lot easier to find the motivation to make those contacts, reach out to potential clients, and ask questions to the people in the community, when you see the potential. I’m so excited to have the opportunity to be a real part of the shift in birth culture here in Newfoundland. There are lots of struggles, but so much potential, which really lights my fire. After every positive meeting, I find myself motivated to keep moving forward. After every negative encounter, I find myself driven to help make that change. It’s hard to look at how far we have to go and to know, realistically, how long it’s going to take to get there. But each assignment that gets submitted, each new like on my Facebook page, every acknowledgement by a once skeptic gets us closer to providing the right support to the families in our area! So how does this translate to you and your doula business? First of all, find your support team. It’s hard to support people through their pregnancy, birth and postpartum without being supported yourself. Whether you need family to take care of your kids when you get called to a birth, a reliable babysitter for your prenatal visits or postpartum shifts, a partner who helps to manage times of lower income, a friend to enjoy a cup of tea with or a Doula Canada counterpart to vent and debrief with about hard situations, we all need to build our support team. Figure out what you’ll need in order to make this a successful venture and then find the people to who will help you do that. Also be sure to add yourself to your support team. Self-care is vitally important if we are to remain an active member of this birth culture shift. Fill your cup in order to continue filling others. 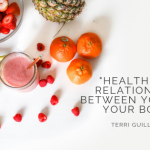 That love and passion for the work, which I think you need to be a truly good and effective doula, is only sustainable if we take care of ourselves. Samantha is the Provincial Liaison for Doula Canada and the owner of Nesting Owl Doula Services in Newfoundland. She is originally from Nova Scotia, but has been living in Newfoundland for the last 7 years. She had been working as a paramedic for the last 10 years before having her first child this summer. She is passionate about bringing midwifery care to Newfoundland and Labrador.